If you tend to shy away from public speaking you are not alone. 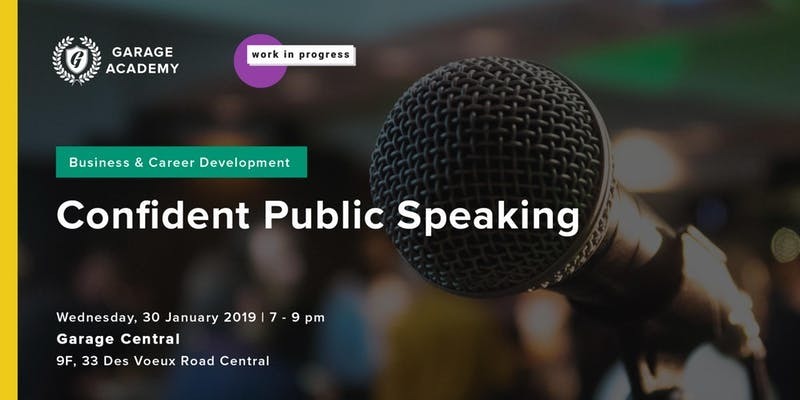 It has been estimated that 75% of all people experience some degree of nervousness when it comes to public speaking, however this fear might be stopping you achieve your full business potential. With this interactive workshop led by performance and career coach Clémentine Pons, you can build your confidence for any situation where you might be centre-stage, such as a presentation or a meeting. Clémentine Pons is the Performance Coach at WIP. She is an actress and coach whose theatre-based approach helps people with assertiveness and public speaking. As a coach for professionals with experience in Paris and Hong Kong, her clients include global MNCs, Chambers of Commerce and entrepreneurs.